Nothing completes a military reunion experience like enjoying the taste of an area. From the feeling of a fresh peach in your hand to a cold sip of craft beer, dining completes the reunion and cements the memories. 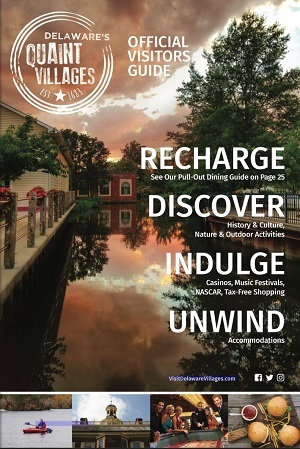 Delaware’s Quaint Villages is ready to feed your hungry friends and military family. Our dining options can cater to your group’s budget and taste – from seafood to scrapple to ciders and wine. Kent County Restaurants cater to the tastes and setting your guests can look forward to during their reunion. We have historic places to eat in Dover, DE like the Grey Fox Grille or Governors Café to the bayside crab feasts at Sambo’s or JP’s Wharf. Tell us more about your groups needs by contacting our Sales & Event Manager, John Doerfler at jdoerfler@visitdelawarevillages.com or call 302-734-4888 x103. We can help you plan a farm-to-table dinner at Fifer’s Orchards, a crab feast at Sambo’s, a casino buffet at Dover Downs Hotel & Casino or Harrington Raceway & Casino, and more.